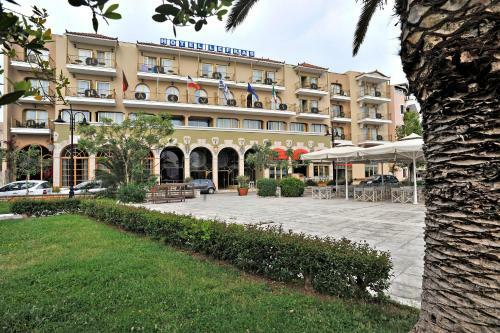 Situated by the new marina of Lefkada town, Ianos Hotel offers air-conditioned rooms with free Wi-Fi. It has a swimming pool and features free private parking on site. Perched on a small hill and surrounded by the lush greenery of Lefkada, Politia Hotel features a restaurant and a pool with sun terrace within 1 km from Agios Nikitas Beach. Hotel Lefkas stands at the entrance of the city of Lefkada, only 700 metres from the biggest beach of the island. It offers a 24-hour front desk and free wireless internet. The recently renovated 3-star hotel offers 100 spacious rooms and suites. Just 150 metres from the beach at Vassiliki Bay in Lefkada, the 3-star Hotel Odyssion offers free Wi-Fi, a pool with hot tub and free, private parking. 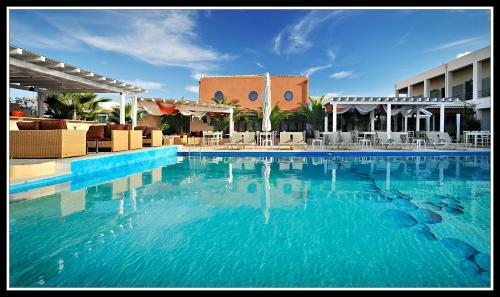 Its rooms have furnished balconies overlooking the Ionian Sea, the pool or the countryside.